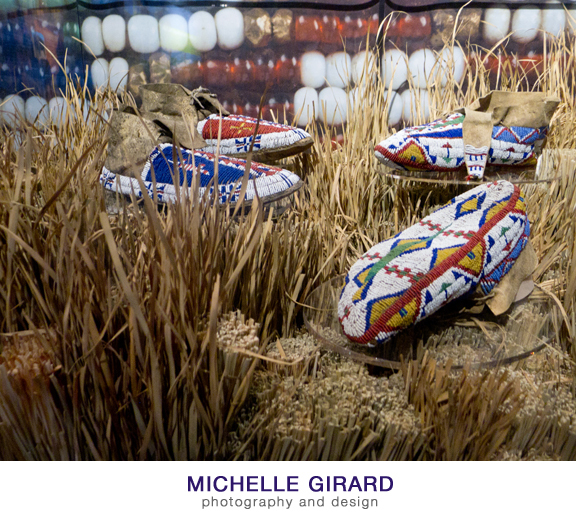 The Bata Shoe Museum is dedicated to shoes, their design and their history, located in Toronto. I was skeptical about this one actually, since I'm not overly into fashion and I, compared to some women, am pretty low key about my shoes. But this was a fun stop. There was a floor with an exhibit highlighting more artistic shoe sculptures and designs as well as how shoes have appeared in artwork. Then there was a section dedicated to the American (and Canadian?) Indian's footwear. Across from that were shoes and accessories from the flapper era, this was easily my favorite set of footwear displayed. The bottom floors were a more general history along with rows of celebrity shoes. A neat detail was added to the stairs connecting the floors. They included holes in the stairs so that people beneath the stairs could eye people's shoes!